I agree that those two acts shouldn’t be removed. To me the Fife and Drum Corps. 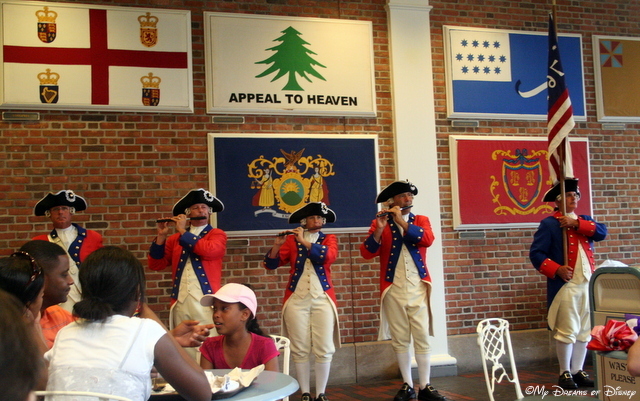 are a little piece of history that I love to see when I’m at Epcot ( which is about once a month) It fits with the time period theming of the American Pavilion and it would seem there are no plans to replace it with anything else :/. Off Kilter is a great act and the viewing area is always packed. They have a large selection of music so it’s not like its the same show every time. Me too, Charlie, me too. Thanks for commenting! 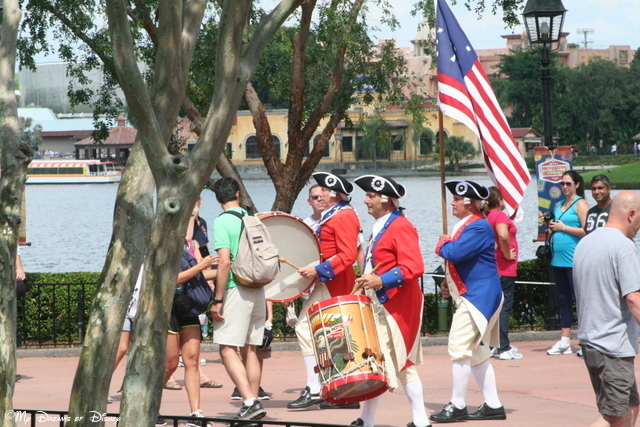 I am extremely upset that Disney is ending The Spirit Of America Fife and Drum Corps! That has always been one of our favorite things about going to EPCOT. I think Disney is making a huge mistake. I don’t know what they’re trying to do. We also got caught in the rain one time and got to hear them play inside the restaurant. It was wonderful! I worry that Disney’s decision to end this beautiful tradition is politically motivated. This is so wrong! !